The all new Kia Picanto which went all sale on Friday 17th June, is the first Kia vehicle to be available with the company's new all inclusive national servicing package. Customers can now add a three or five year service package to a Picanto purchase. The Care-3 package is just £259 including VAT, which covers the first three services - either 36 months or 30,000 miles. Or the Care-3 Plus package is just £499 including VAT which covers the first five services - either 60 months or 50,000 miles. These packages are not just excellent value for money, they offer fixed cost and inflation proof servicing for the full three or five years. All work will be carried out by trained product technicians, using genuine Kia replacement parts and specified oils. After the Care-3 package or Care-3 Plus package is complete, the car will have a full service history. Customers can purchase the Care-3 or Care-3 Plus service package after the vehicle has been collected - they have 45 days after initial registration to add this. If a customer wishes to retain the Picanto after three years and originally only had the Care-3 package, a top up can be added for £275 including VAT, to extend the package to the full five years. The Care-3 and Care-3 Plus package stays with the car, so is fully transferable to another customer. If a second owner would like the five year service package - on a vehicle with a Care-3 package, the new owner can top-up this package to cover the next two years. 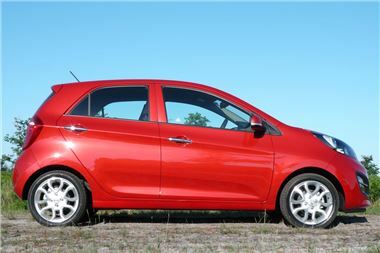 Customers opting to buy a new Picanto with Kia Financial Services, can also pay for the Care-3 or Care-3 Plus service package within this agreement. Hamish McCowan, Director of After Sales and Logistics, said "This is a new direction for Kia and a real cost saver for customers. We want the Kia brand to stand for more than just delivering great products with great quality and a 7 year warranty; we want Kia to be known as a brand that stands for delivering value for money service excellence. Picanto is a fantastic product and this package allows buyers to guarantee the lowest possible service costs throughout their ownership."